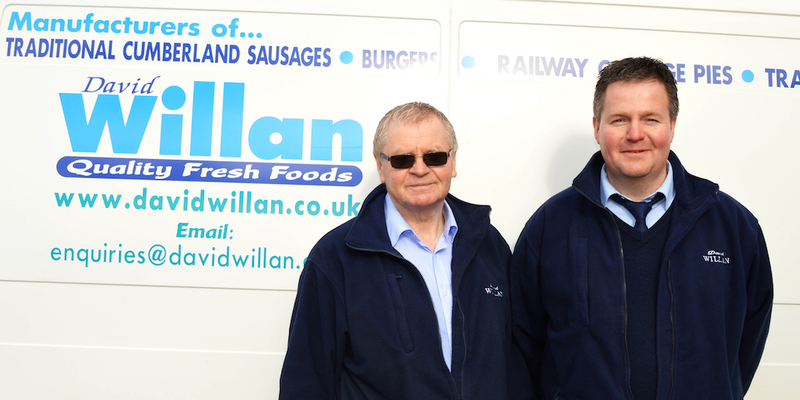 David Willan Quality Fresh Foods is one of the leading suppliers of quality frozen, chilled and ambient food to the catering industry. The company is owned and run by David Willan in partnership with his son Stephen. Our food distribution service to shops, restaurants and fast food outlets covers a large area in the North West from our base at Oxenholme Lake District railway station, just south of Kendal, Cumbria. Having many years experience behind us - we were established in 1979 - we have seen the company grow from strength to strength. With our fleet of refrigerated vans we offer a quality service to cater for our clients every need and give them peace of mind knowing that, once an order is placed, it is as good as being in their freezers. Here at David Willan Fine Foods the service we offer is second to none and the company works hard for its customers to ensure a successful trading relationship, backed up with a total quality service. We produce our own range of quality fresh pork sausages, beefburgers and Cumberland sausages in our Butchers Shop.